A staggering three million hectares of forest in Indonesia and Malaysia have been cleared to make way for oil palm during the past 15 years, and 50–60 per cent of all oil palm expansion in the two countries has occurred at the expense of natural forests. The two countries account for 85 per cent of global oil palm supply, while also containing the third largest area of tropical rainforest in the world alongside, according to some commentators, the fastest global rate of deforestation. Malaysia and Indonesia are therefore a crucial battleground for ensuring that palm oil production no longer occurs at the expense of globally important bio-diverse forests. The Roundtable on Sustainable Palm Oil (RSPO), established in 2004, is an association that promotes the growth and use of sustainable palm oil by co-operation between growers, processors, retailers and consumers throughout the supply chain. With 1,000 members from over 50 countries, the RSPO uses a certification system composed of eight principles with which growers must comply in order for their palm oil to be RSPO-certified. It should be noted, however, that the ‘mass balance’ option of the RSPO supply chain certification standard permits traders or refiners of palm oil to buy RSPO-approved palm oil but then mix it with non-RSPO supplies, meaning that RSPO-certified palm oil cannot be said to be fully segregated from supplies which have originated from non-certified sources. Nonetheless, the RSPO is increasingly seen as an initiative that might resolve some of the problems with the sector and, since 2004, 14 per cent of all globally produced palm oil is RSPO-certified, demonstrating its limited but growing importance. Yet as it celebrates its 11th Annual Roundtable Meeting On Sustainable Palm Oil it faces devastating criticisms from a wide range of groups, including EIA. 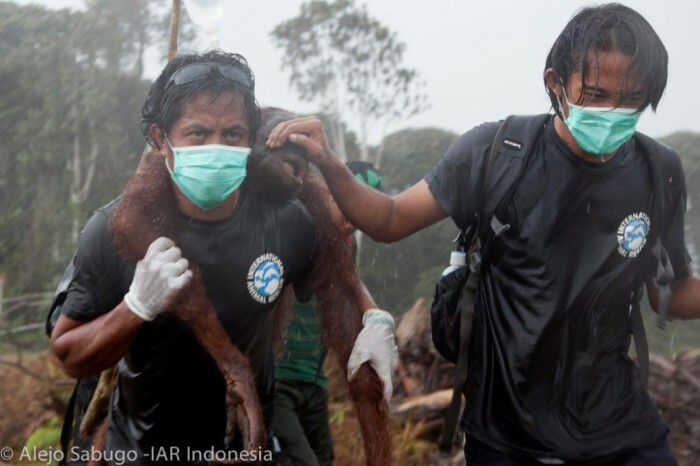 Numerous reports detail shocking cases of RSPO members destroying forests across Indonesia, failing to consult local indigenous communities, grabbing land without proper consent and harming species at serious risk of extinction – all the while using the RSPO logo to greenwash their products. The fundamental problems highlighted by these numerous reports is the failure of growers to properly apply the principles and criteria of the RSPO, a system almost entirely reliant on self-reporting and the failure of the RSPO complaints procedure when a breach has occurred. While many reports have focused on the role of palm oil growers, processors and retailers in failing to apply the RSPO’s principles and criteria, little has been reported in relation to the role of finance in fuelling the environmental damage done by the palm oil sector to Indonesia’s forests. Banks play a major role in investing in the palm oil sector by financing its expansion, accounting for 27 per cent of all financing in the sector for 2002-11, according to a report by the consultancy Profundo (Financing Oil Palm Expansion in Malaysia and Indonesia). In Indonesia, foreign banks in particular have invested over US$1.7 billion in the period 2002-11. HSBC plays a major role in the sector and is a member of the RSPO. Research by EIA can reveal that of the top 10 largest companies in the oil palm sector that own the largest land areas for palm oil plantations, HSBC has been involved with all of them in the provision of some form of financial service during the past four years. It has also produced a forest policy, the stated aim of which is to not finance the conversion of High Conservation Value forest to plantations, as well as to not finance plantations converted from natural forests. That would be all well and good if the certification system could be depended on – but in the case of the RSPO, that matter is wide open for question. A new report published this week by EIA, Banking on Extinction, delves into two case studies that clearly demonstrate a breach of the RSPO principles on the part of two companies, Bumitama Agri and Triputra Agro Persada – both members of the RSPO. In both cases, HSBC was involved in providing financial services to the companies and relied on the fact that they were RSPO members, allegedly heading toward certification, without having done basic due diligence prior to providing those financial services, which would have shown that the firms had breached HSBC’s own forest policy. While HSBC was one of the first banks to introduce a forest policy, much needs to be done to improve its due diligence methodology so as to ensure compliance. With other banks also intimating that they will be embracing environmentally friendly investment policies, it is crucial for the RSPO to credibly demonstrate that its principles and criteria can and will be applied by members, because its standards will likely be used to justify future financial investment policies in the sector. The future of primary forests and species at risk of extinction should be worth more than failed certification standards and policies whose words are not worth the paper they’re printed on.